We have recently installed a Weinor Opal II Awning to this beautiful property on a private estate in Wentworth, Surrey. Our client wanted a space where they could entertain friends and family, even on cooler days and in the evenings, so we also installed two heaters for maximum warmth. 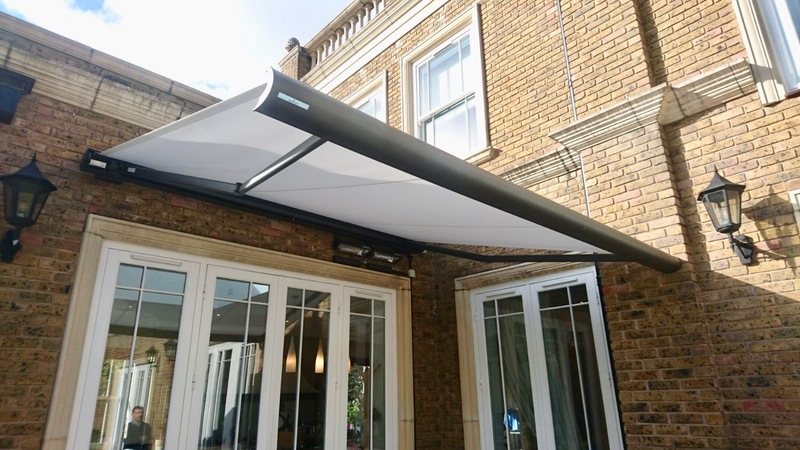 Our Premium style Weinor Opal II Awning is constructed from high quality materials and uses modern technology. The cassette is fully concealed for maximum mechanical protection and the super quiet Weinor LongLife arms are sleek and stylish. The finishing is simply stunning. 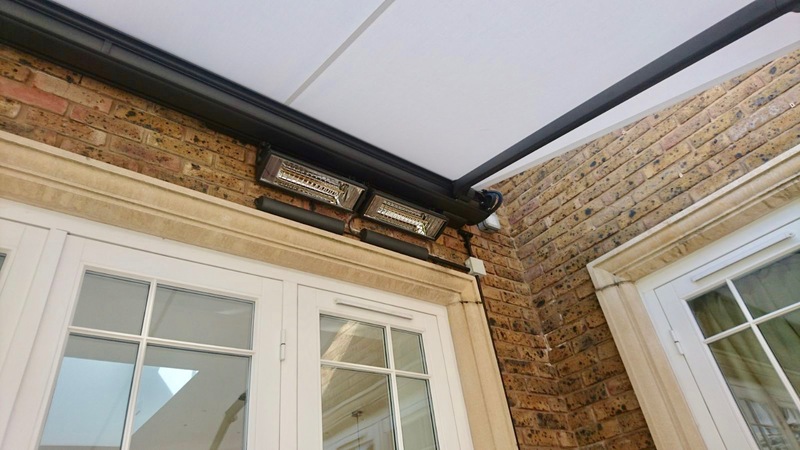 The two heaters installed provide a comfortable warmth that will allow our client to enjoy sitting outside with their guests, even on cool evenings. These modern, safe and super economical heaters reach full power just seconds after being turned on and convert 90-95% of energy into heat. 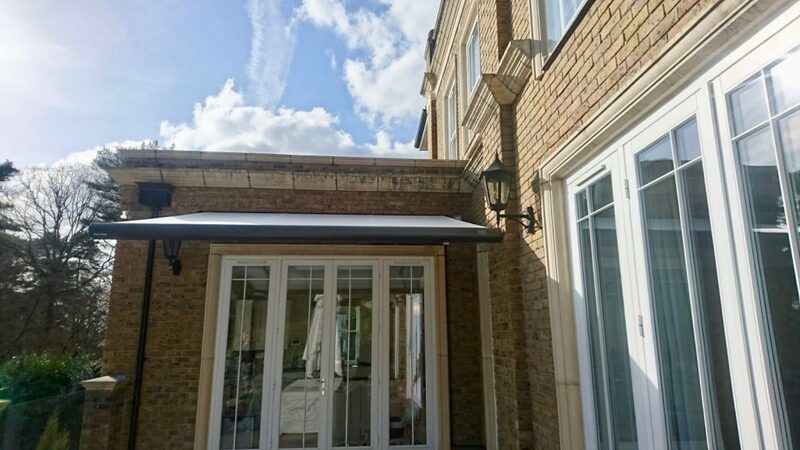 This a wonderful example of the high quality standard of the Weinor Opal II Awning. The finished result is a smart and modern alfresco dining and entertaining area complete with instant heat for those cooler days and evenings. To find out more about our Weinor Opal II Electric Awning, contact our friendly Sales Team. Call 02381 290170 or email sales@awningsouth.co.uk. Alternatively book a FREE Design Consultation and we’ll visit your home to take measurements and provide you with an accurate, no obligation quote.